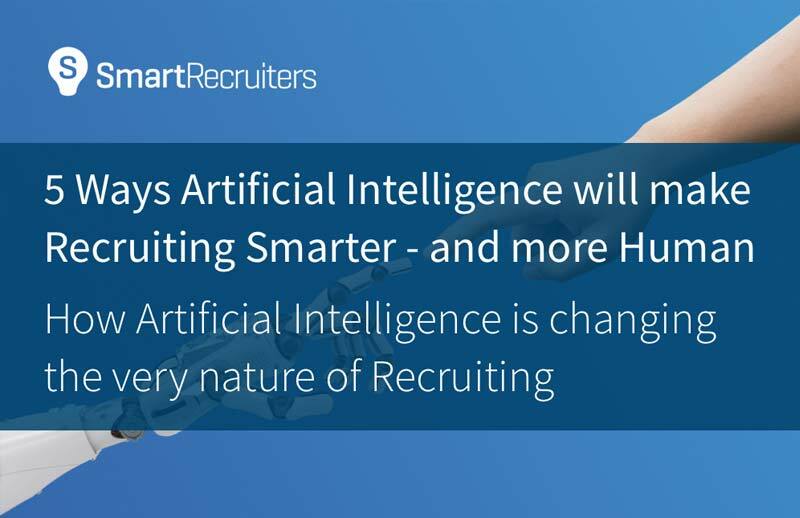 Watch this on-demand webinar with Hessam Lavi, Director of Product at SmartRecruiters, to learn more about how Artificial Intelligence is revolutionizing recruitment processes today as well as how to choose the right AI tool for your organization. The Future of AI in Recruiting: Learn how industry leaders are using AI to maximize recruiting efficiency. The Robot Not-Uprising: See how AI can be used to complement an existing TA process, and make recruiting distinctly more human. The AI Market - Today and Tomorrow: Learn about current AI solutions as well as the evolution of the market in the coming years.